If you will make an inventory of what you own in your life, what would the list include? What would be the majority of items listed there that would last for eternity? What should be our attitude to what we claim as our own? The right attitude must be to recognize that God is the ultimate Source of it all. 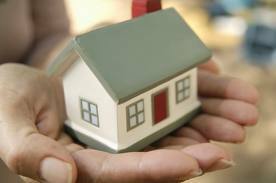 However huge the savings in the bank and the size of the house, these are only means to an end but not the end itself. They only provide us an evidence of God’s blessing as we are given a lease on life by the real Owner. Having such an understanding will provide us freedom from being insecure of what we have and do not have. The real security lies deeply in fully adhering to God’s ownership of everything we have and we are just but mere stewards. We are assigned managers of what we claim our own. Also, to argue that we have gained and acquired all of it through our own toil and labor is kicking against the pricks. It is still part of the whole package of God’s gift of life. Therefore, it would be a good practice to recognize daily that our life is a gift from God. And if you want to own the most precious asset in life, I would suggest securing one’s eternal future. God gave His Son to die on the cross for our sins to provide us a Saviour we could claim our own. C’mon, secure our life with Him and His offer of eternal life and it will be the most important treasure you will gain today until eternity. Though we may lose everything in this world but remember that Jesus remains the same yesterday, today and forever!